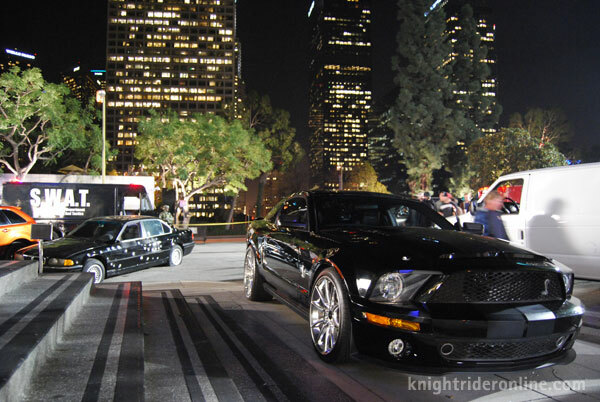 It would appear that there are not too many dull moments on the Knight Rider set. We arrived just after some four or five thousand rounds of ammunition had been shot off. Throughout the rest of the night the bullet casings clinked underfoot. We knew we were going to be in for a treat at the end of the night because periodically the props department would set off a test of some of the pyrotechnics they had in store. Watch our relatively spoiler free video and stay tuned for more to come. Here are some behind the scenes images, click on the thumbnails to enlarge.